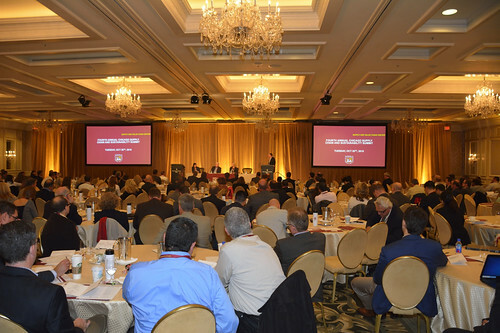 Supply chain professionals and leaders explored how to build sustainable and socially responsible supply chains at Quinlan's Chicago Supply Chain and Sustainability Summit in October 2015. About 400 guests and more than 100 companies attended the 4th Annual Chicago Supply Chain and Sustainability Summit hosted by the Supply and Value Chain Center at Loyola's Quinlan School of Business. Speakers ranged from U.S. government officials to leaders of multinational companies. Topics included sustainability communication, optimal supply chains initiatives, financial advantages to sustainable operations, supply chain education, and international logistics. The event ended with a networking reception in Quinlan's new home, the Schreiber Center. View Summit photos in the gallery below or on Quinlan's Flickr page.